PrestaShop is a worldwide open-source solution for e-commerce. It’s totally free, so you don’t pay any monthly or license fee. You only need to have your web hosting secured under which the PrestaShop will run. It’s tested and used by thousands of users from all over the world. A great advantage for your online store running on PrestaShop is that you get access to a number of modules that will further expand the functions of PrestaShop. 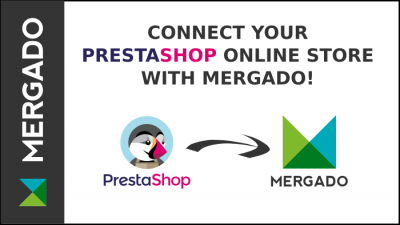 And the Mergado Marketing Pack module for PrestaShop is one of them. Some time ago, PrestaShop introduced its version 1.7. Unlike previous versions, this system works on a different core. This means most modules were no longer compatible with PrestaShop‘s new version. Until recently, this was also the case for the Mergado Marketing Pack module. Do you run your e-commerce store on PrestaShop? 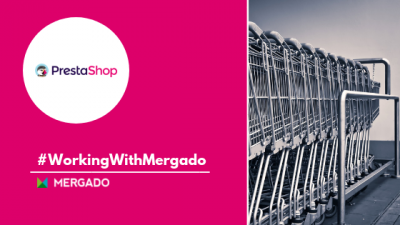 Download our Mergado marketing pack module for PrestaShop. It will help you create better XML data files for comparison shopping services and much more. It’s packed with many marketing functions that will help you improve your advertising. Plus it’s for free!